This tote is the perfect, versatile bag. 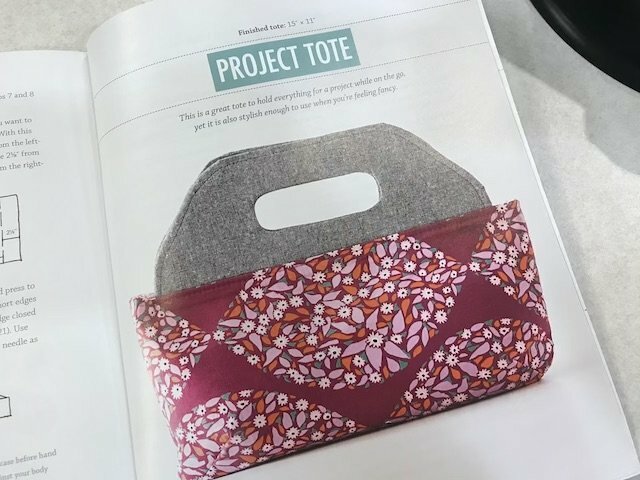 It is large enough to carry your projects on the go, and stylish enough to use as a purse on its own! It features a roomy interior with one pocket to keep small items together, a magnetic closure, and a lovely shaped handle.